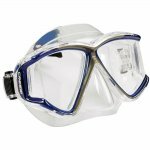 Specifically crafted for divers who need a wider mask, the Pano 4 combines excellent field of view in a multi-lense design with reasonable internal volume for better clearing and a lower provile in the water. 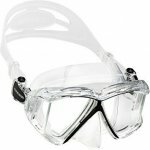 All lenses are tempered glass for the best clarity and lenses are joined in a special way to minimize the visible seam. 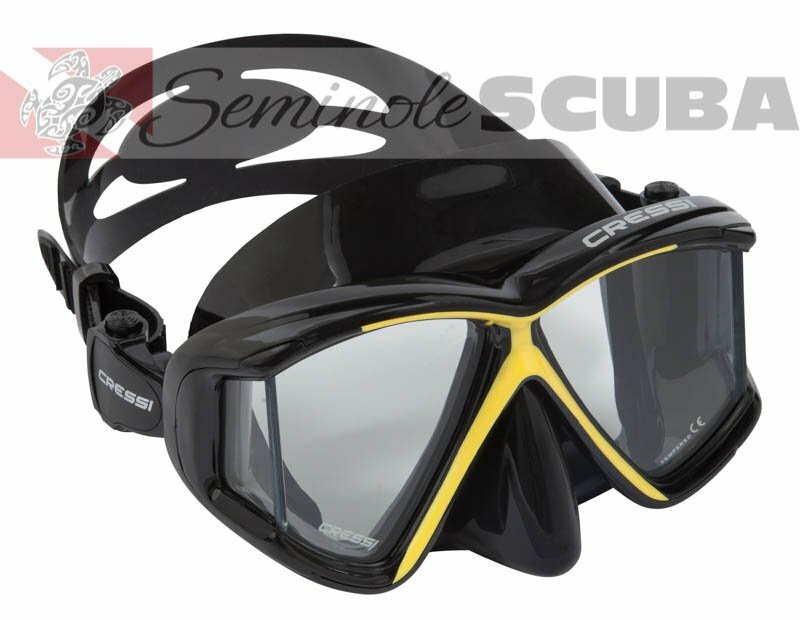 An excellent choice for both diving and snorkeling, the Pano 4 provides both improved vision and comfort over previous multi-lens masks.